When I first saw the structures in the huge hall I thought ... Wow they can't have stolen all this ! With stolen I also mean: "bought very cheap". But, they were all copies ! apparently it was very in vogue those days to make plaster copies of famous buildings, facades etc. Whole teams of people specialised in this craft roamed the world (Babylon, Egypt, France etc) to make these copies for the wealthy. I forgot which original cathedral this is. Looks very French, but that's as far as I get. 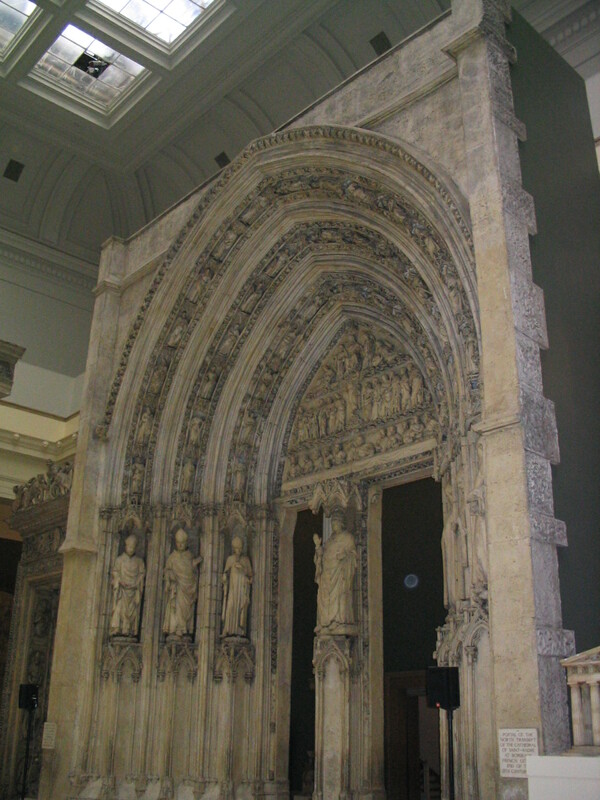 "Portal of the north transept of the cathedral of Saint Andre at Bordeaux, French (?) at the end of the 8th century"